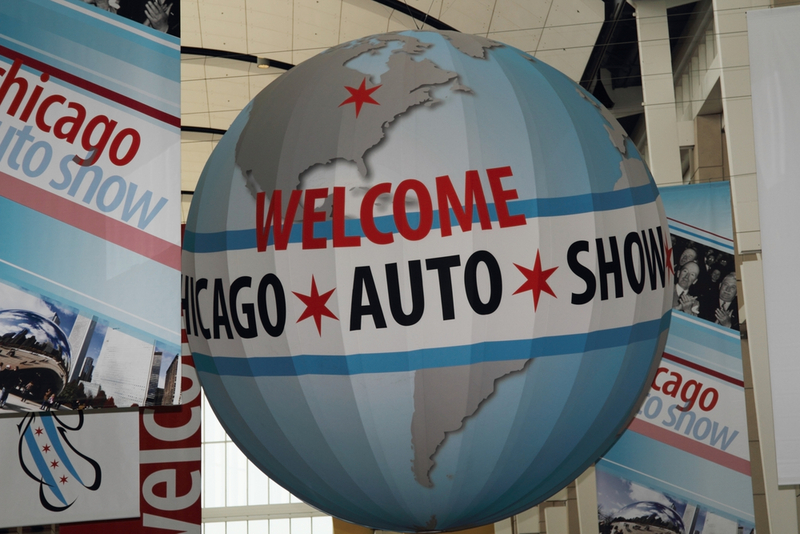 Let no one else tell you any differently, the Chicago Auto Show IS the largest Auto show in the nation, no, the continent. Unfortunately, following up Detroit and even CES was a pretty tall order for the windy city. Instead of debuting all new cars, it’s the main American showcase for updated and special-edition vehicles. The publicly available cars set to dominate the headlines on every car blog or magazine again this year, sometimes next. Did our home turf live up? In all fairness, CES and Detroit ended up being shockingly low on big reveals so expectations for the Chicago Auto Show, which is more of a trade show than an industry/press convention, were rightly measured. Taken within those parameters, the show was still a fun time to spend the weekend! Most of the focus at the show was on special trim packages and limited-run production models and also the occasional “try it out” new tech displays. 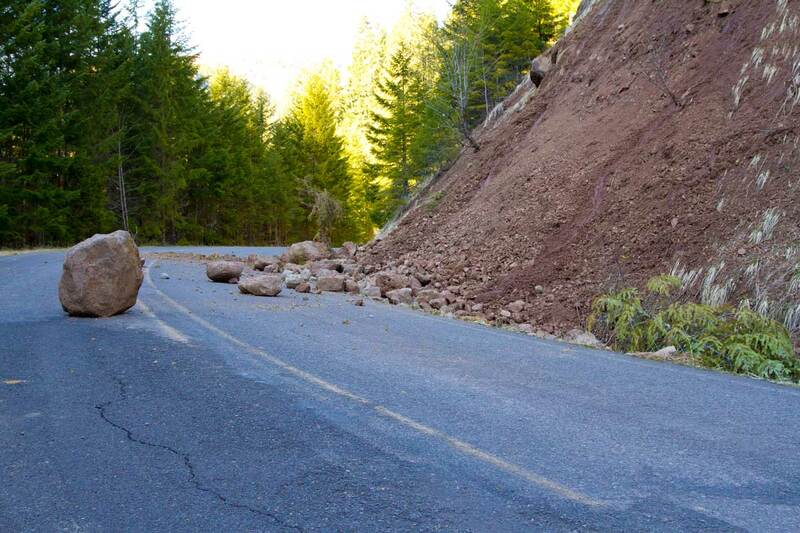 And thankfully, our man on the ground provided us with plenty of photos and footage to share with you, dear reader! 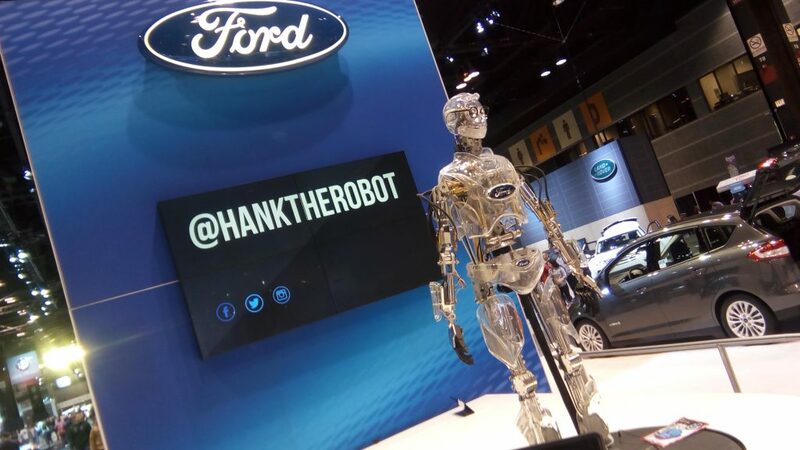 Hank The Robot Says Hi again! 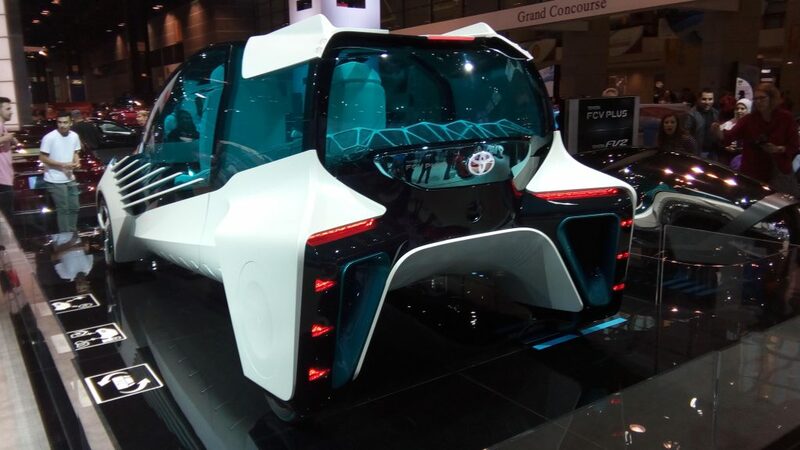 We got the FCV+ Toyota’s vision of a connected, sustainable hydrogen network. 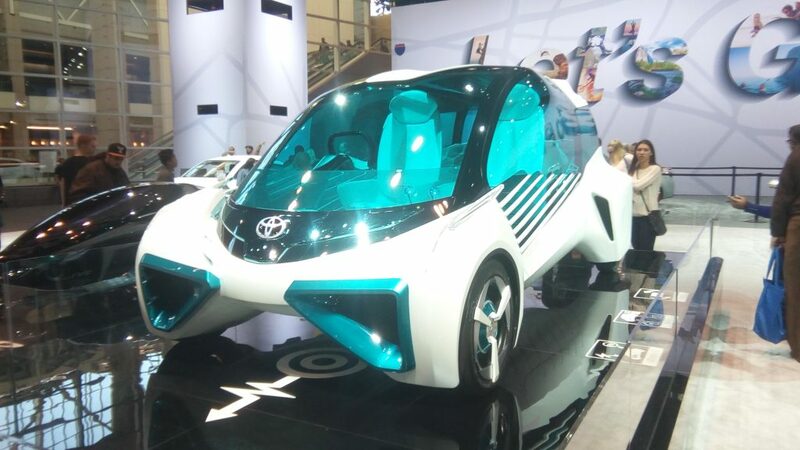 It apparently can generate electricity directly from hydrogen stored outside the vehicle. Yup, you can even use source of emergency power for use at home or on camping trips. 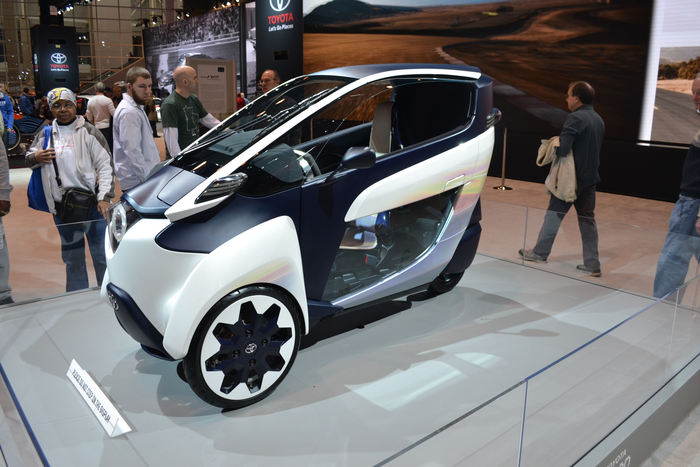 i-ROAD We hear this three-wheel personal electric vehicle is fun to drive. None of us in the Endurance offices knows that for sure, but we’d like to trust the media on this matter. This concept, a carry-over from previous shows, is sort of a self-made celebrity given how much media attention it has received despite doing nothing but looking great. Ok cynicism aside the i-ROAD, has that revolutionary Active Lean technology that allows for accurate movement like a downhill skater, and is apparently as agile as superbike…all with a unique enclosed-canopy. FV2 Not to be outdone by the others, the FV2 is moved by the occupant shifting their body to intuitively. The “Intelligent transport system” technology is networked to other vehicles in the area and traffic infrastructure allow for the safe driving of the future. Over nine Chevy vehicles — cars, trucks and utilities – got the “Redline special-edition” treatment at the Chicago Auto Show. A mostly cosmetic trim with blacked-out wheels and accents. The sporty trim was a real hit with new car buyers, and was said by many to bring out the unique features in each model it is attached to. That’s not what we’re saying, but that’s what they are saying and who are we to disagree? OH and by the way… GO BLACKHAWKS!!! As per Chicago Auto Show traditions we got a full on automotive ode to our Stanley Cup-winning NHL team. The new version of Chevrolet’s Chicago Blackhawks Camaro showed up dependably to the 2017 Chicago Auto Show and we still think it’s a fine ride. 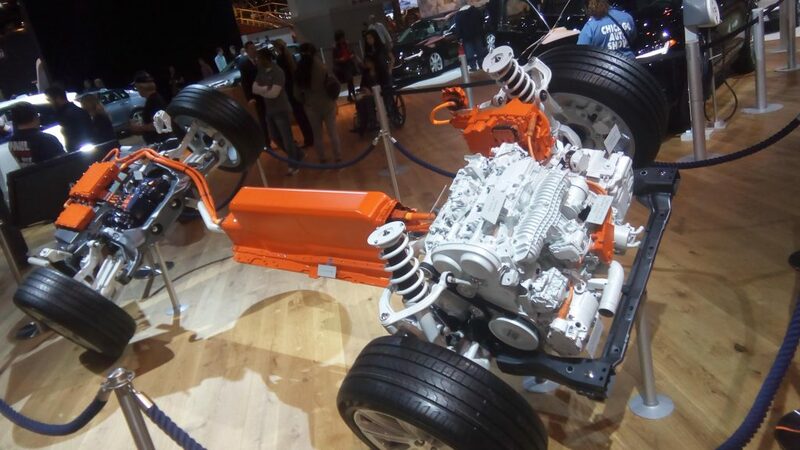 We’re always excited to see new technology take shape at any auto show. Which brings us to this mock-up of Volvo’s XC90 SUV and S90, driverless ready, dual-engine electric power trains. What was neat about this display was that it was partly interactive and dare we say…electrifying. With superhero mania taking over the cinema and of course Lego mania never going away it was only a matter of time before the caped crusader’s Batmobile got the brick toy treatment. Of course, this being the Chicago Auto Show, where “go big or go home” is the norm, we got to see a life-sized replica. 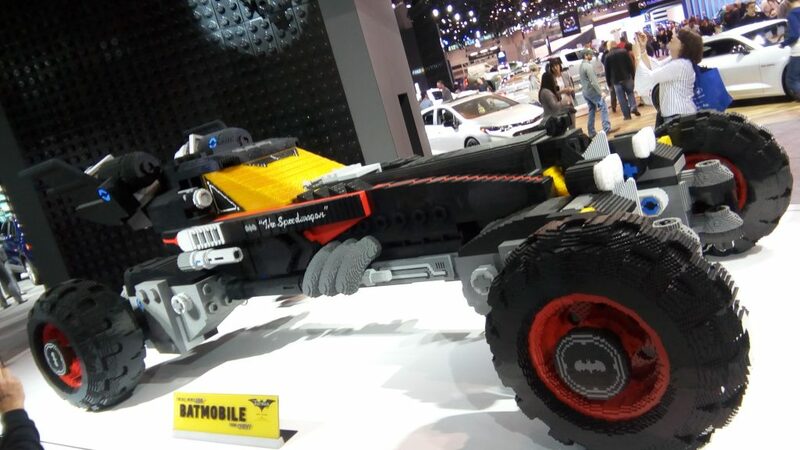 No not life-sized as in the toy you can buy but a Lego Batmobile model sized to match the drivable ones we’ve seen at nearly every auto show. Holy brick building, Batman!!! When we read the press release we assumed this would be some sort of “Magic Mountain” ride for Mercedes owners and we were partly right. 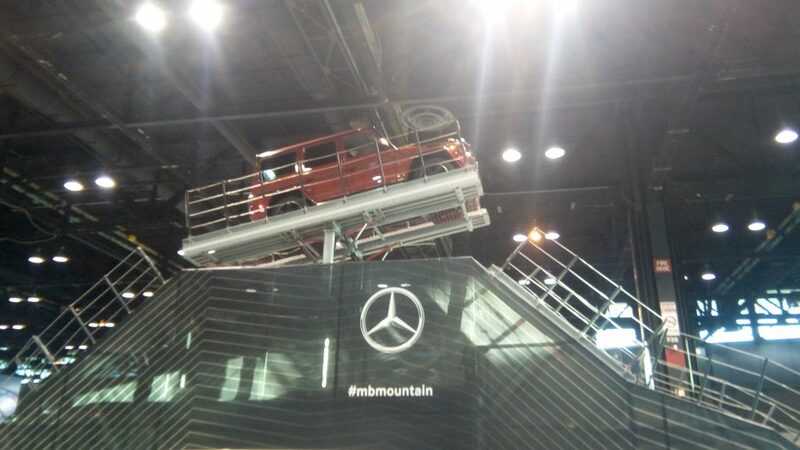 This on-dimensional mechanical rig was built to show off Mercedes’ new G-Wagon’s drivability on steep inclines and declines. 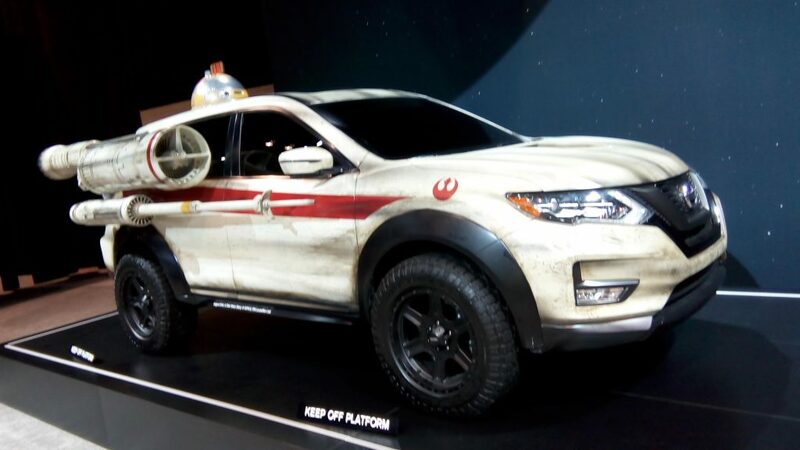 With the last Star Wars movie, Rogue One having broken box office records and a new movie coming later this year, there’s no reason Nissan can’t continue to sell us on the Rogue One edition of the Rogue SUV. This time modeled after the famous X-Wing space planes, Nissan is ready to take you to a galaxy far, far away on four wheels. For a company named Smart, they have a funny habit of wondering how many silly things can be crammed into their tiny cars before they cease being “smart” cars in general. 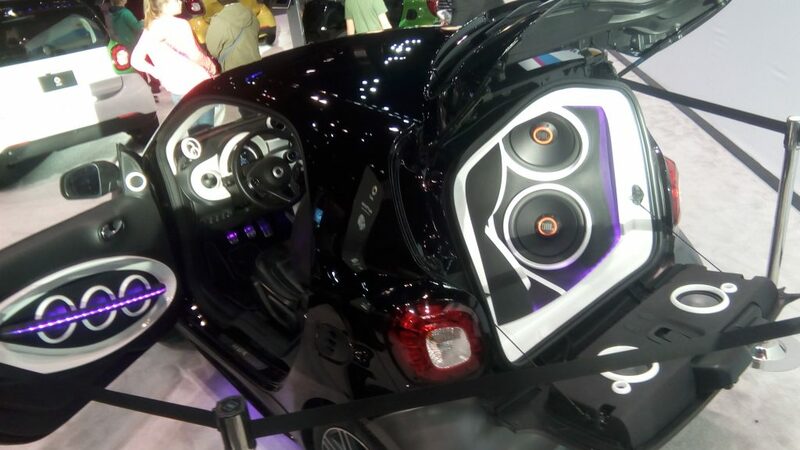 In the case of the Forgigs (pronounced “four gigs”) Smart decided to pack their signature Fortwo car with speakers. Then they added more speakers, then they put more speakers on top of those speakers, all before decorating all the speakers with a bunch more speakers. Finally they topped off this car with a few more speakers, just to be safe. A whopping total of 16 speakers: five amplifiers—three to run the tweeters and mids, while two pump the 12-inch subwoofers are all over. If you couldn’t wait to share your new favorite song with fellow neighbors and commuters now you can. They’ll hear it, trust me. Same principle applies to that audio book that you’ve been meaning to delve into. Assuming the 150 db of sound pressure doesn’t scramble your brain, you now have a pint-sized concert hall. So that concludes our tour of the 2017 Chicago Auto Show! Did you attend? What did you think we missed? What was your favorite car or display? Why didn’t you say hi to us? Hit us up on social media or comment below and let us know!